What do the best senior health insurance companies have to offer? Home / FAQ / What do the best senior health insurance companies have to offer? The best senior health insurance companies have more to offer than you might expect. If you are age 65 or older, you do qualify for Medicare. Medicare Advantage, Medicare Part D and Medicare supplemental insurance or Medigap insurance are all offered by the best senior health insurance companies. Take the time to look at health insurance options from many companies now by simply inputting your ZIP code in the FREE quote tool! Medicare Advantage is a plan that private health insurers offer. This type of health insurance combines the original Medicare plan with extra benefits like prescription, hearing and/or vision coverage. This plan effectively replaces and improves upon Medicare Part A and B. A Medicare supplement plan or Medigap coverage helps you pay deductibles, coinsurance and copays for Medicare. Many seniors are not aware of the out of pocket expenses that still exist under Medicare. This coverage helps take care of them. Drug benefits are not covered under basic Medicare. Therefore, health insurance companies offer Medicare Part D plans to help make prescriptions more affordable for seniors. Seniors have always faced challenges when it comes to securing reliable health insurance. This is mostly due to preexisting conditions and the fact that their age predisposes them to a variety of health issues. While Medicare provides for a significant portion of their healthcare needs, private health insurance is still needed by those who do not qualify for financial aid. Even though those who are over 65 qualify for Medicare, there are plenty of gaps in coverage left by the system designed to care for senior citizens. Because most senior citizens are on a fixed income, it is a good idea to take out additional health insurance coverage in order to stabilize health expenses. In addition there are a variety of health care services that Medicare does not cover. If a senior citizen wants healthcare that covers alternative medicine like chiropractic care, vision care, hearing care or prescriptions, supplemental health insurance beyond basic Medicare is necessary. Most guidelines dictate that being aged 65 or older is what defines a person as a senior citizen. However, there are many organizations, such as the AARP, which define it as young as 50 years of age. Therefore you may be looking for senior citizen’s health insurance before you are eligible for Medicare. If you are in the market for health insurance to fill a gap following retirement, you will find that individual health insurance is what you need. However, age and existing health conditions do not work in your favor. If you’re young and healthy and an individual health plan might work for you. Guaranteed issue health insurance for seniors is a form of health insurance that involves no underwriting. This type of coverage is costly because it provides you with health insurance regardless of your medical condition. Many states offer a high risk pool for senior health insurance programs to make sure that those who would be considered uninsurable can actually find coverage. The states of Maine, Massachusetts, Vermont, New Jersey and New York are deemed guaranteed issue states for all insurers and you will easily be able to find individual coverage. The best way to keep costs down is to shop around. 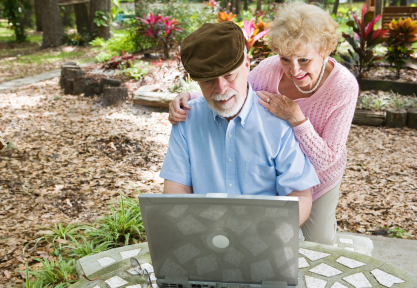 You can do this easily and quickly by shopping for senior health insurance online using a quote tool. You simply answer a few questions and the quote tool does the rest. You will receive multiple quotes from a variety of companies who offer senior health insurance. You should then take the time to carefully compare the quotes and the companies themselves. Price is not everything when it comes to health insurance. You will want to feel confident in the fact that the insurer you choose treats customers fairly. In order to learn what actual customers say about the insurance companies they use, seek out online reviews. Such information can be found through an online search or from a website like the Better Business Bureau. You should also check out the financial reputation of any insurer you are considering using. Independent insurance ratings companies, like A.M Best, exist in order to collect financial data and rate insurance companies on their present and future ability to meet obligations. Ready to get started today shopping around for senior health insurance quotes? Enter your ZIP into the FREE search box now!